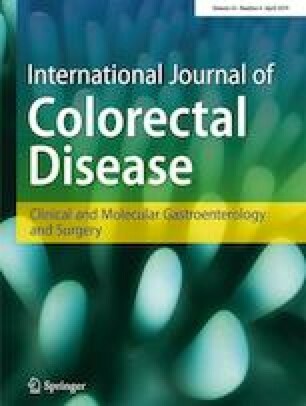 Patients with ulcerative colitis and Crohn’s colitis have an increased risk of developing dysplasia and colorectal cancer as compared to the general population; surveillance colonoscopy is recommended in this patient population. This review of the published literature aimed to assess the published evidence. Detection of dysplasia requires examination of mucosa with targeted biopsies of the visible lesions as well as random biopsies to detect invisible lesions. Newer endoscopic techniques, in particular chromoendoscopy, increase the yield of identifying dysplastic lesions. The surveillance for Colorectal Endoscopic Neoplasia Detection and Management in Inflammatory Bowel Disease Patients International Consensus (SCENIC) guidelines recommends that colonoscopy using chromoendoscopy is the optimal endoscopic surveillance strategy to detect dysplasia. Once dysplastic lesions are discovered on surveillance endoscopic examination, careful and meticulous descriptions of lesions is mandatory to aid in further decision making. Management of dysplastic lesions in inflammatory bowel disease patients depends on endoscopic (morphological) and histologic findings and patient characteristics such as age, general condition of the patient, and patient preferences. Endoscopic mucosal resection, endoscopic submucosal dissection, and surgery are different therapeutic options for colonic dysplastic lesions detected in the setting of inflammatory bowel disease. In this review, we discuss the various techniques for endoscopic resection of dysplasia in patients with inflammatory bowel disease. Further research is required to determine the optimal approach to diagnosis and management of dysplasia in patients with inflammatory bowel disease. The online version of this article ( https://doi.org/10.1007/s00384-019-03269-3) contains supplementary material, which is available to authorized users. Udayakumar Navaneethan and Bo Shen are consultants for AbbVie. Udayakumar Navaneethan is on the speaker bureau for Takeda, AbbVie, Pfizer, and Janssen. None of the other authors declared financial conflict of interest.